"Everyone here has the same chance, no matter whether one is a star with a great life of performance, or as a newcomer to the stage. If the performance is right, Americans are generous. 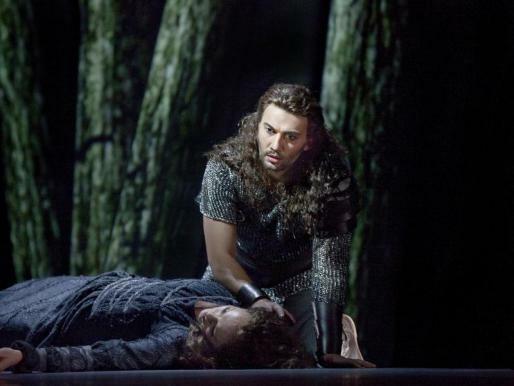 ", Kaufmann says. I don't really think so. In a way, it's kind of telling that he feels the need to say so, without being asked about it. I think it's very helpful to him that there's all this hype about him, his looks etc. I feel people get kind of blinded by his status and are much less critical of him singing Siegmund than they should. They "shouldn't" anything, by the way, it's all up to them, of course. But he really has this advantage. Listening to the audio live stream of the premiere, I wasn't really impressed with his Siegmund. Let's hope I can revise my opinion the 14th of May.